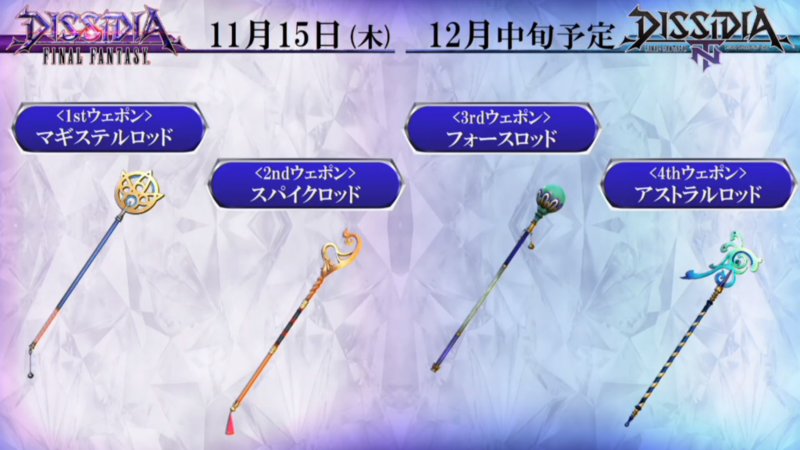 Square Enix held a special third anniversary stream for Dissidia Final Fantasy — three years have passed since the Arcade version of the game launched in Japan. 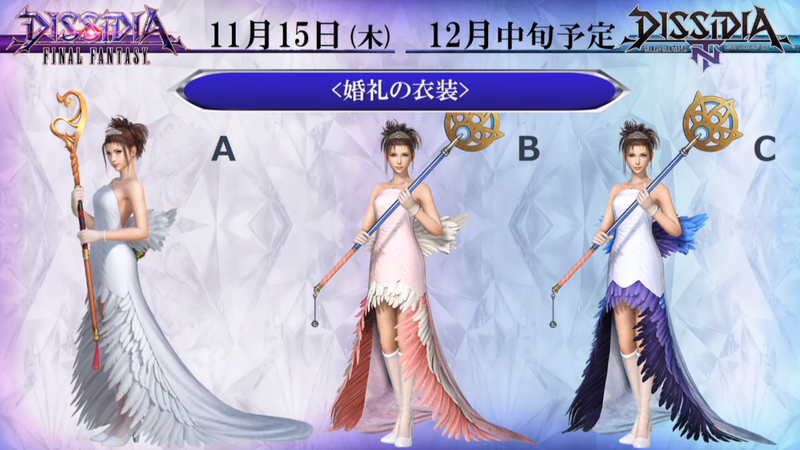 During that stream, the team revealed the next character available through purchase of the season pass: Yuna from Final Fantasy X. In the video below, Yuna’s gameplay style has changed a bit – casting spells directly and using one summon exclusively. With Valefor’s help, Yuna can counterattack even while she is being hit. A new stage was revealed called Final Battlefield, which is a unique to Dissidia Final Fantasy. 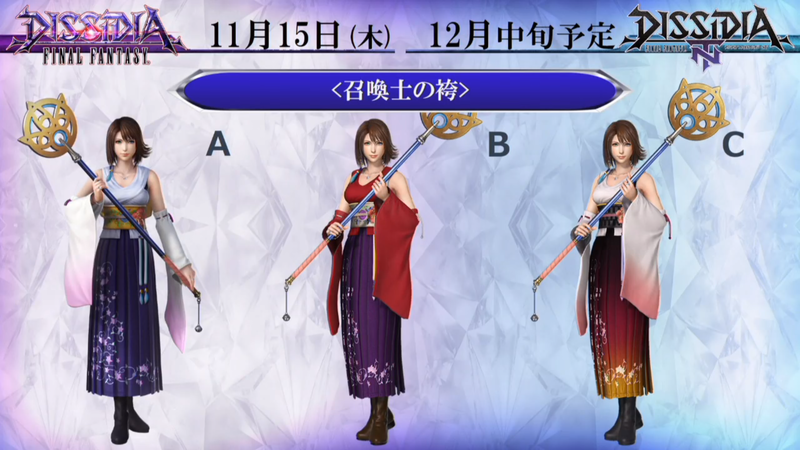 Yuna and the new stage will be available in the Arcade version on November 15th, and the console version in December. The update will also include new music arrangements to collect in-game. Square Enix also announced a “Free Edition” of Dissidia Final Fantasy that will include a rotating roster of characters to play. You’ll be able to challenge other players who use the free client as well as the premium console client, but there won’t be a story mode. Through micro-transactions, you’ll be able to unlock specific characters to use any time as well as purchase alternate weapons and costumes. Should you decide to upgrade to the premium version, you cam migrate your save data too. The free version of Dissidia Final Fantasy NT will release in Japan on November 22nd. Okay on a technical level I’m fine with it. I like that she mimics the attacks used in Duodecim without the need of the summon. Except for Valefor for some reason. The problem I have is Valefor showing up at all. Didn’t they say the idea was this is set after each respective game? Thus Yuna would lack any summons at all. Honestly I was expecting gunner Yuna with a dress sphere system to switch roles mid battle. Oh well. I mean, if we’re counting X-2.5 and Will, this makes sense I suppose. Since the whole beckonings thing going on in those stories, so Yuna having Valefor I guess could be a beckoning. Her also being back in her summoner attire could also fit with that, since she kind of went back to that seriousness she had in X and all the crazy bird does now is pray in Besaid by the time of Will. I don’t know, I may be thinking to hard here, but theories are what the internet has been known for now lol. Tbh, the last few news from S-E have been extremely grim for the company, and I wonder just how bad the situation truly is. We all know they haven’t been the same company since the departure of Sakaguchi after FFIX, and the following new employees taking on a different work and design philosophy. But I think that S-E may finally be starting to see consequences for their reckless approach with the industry in general. Eh it’s not as bad as it appears believe it or not, it is a loss, but it is more of a minor loss of money, or in other words to people who study law and economics, paper loss lol. More or less, this seems to be more a decision made from both Team Ninja and Square-Enix to boost sales of the game on consoles. Arcade version is doing fine and console version isn’t listed as a cause of loss of money similar to their investment in Luminous Productions. This is the worst dissidia I have ever played. 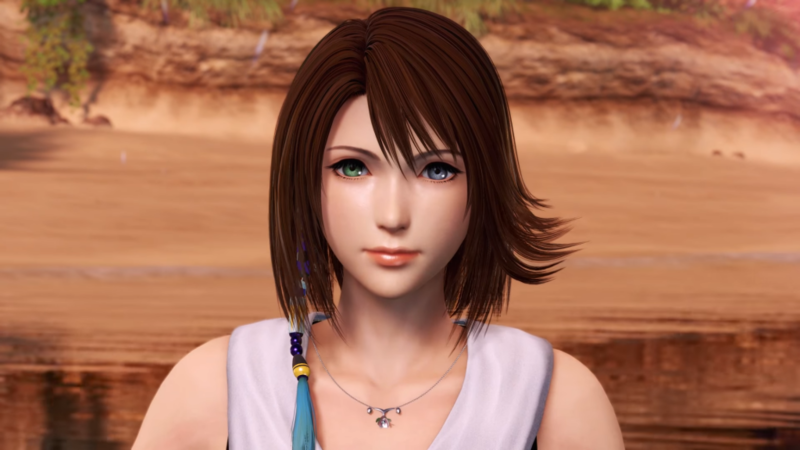 Yuna looks nice in HD. But that wont stop the game from being a piece of crap. It doesn’t really feel like dissidia and when the characters dash… I just laugh at how bad it looks. I agree 100%. I’m just too impatient and stoopid to put it that eloquently. This game isn’t becoming F2P. The “free edition” is like a permanent demo of the full Dissidia NT.